Sustainable Brands conferences were founded on the belief that unleashing the best of our human ingenuity and innovation can change the shape of business, and with it, the world. Conferences began in 2007 in the U.S. and the flagship event has since grown to nearly 3,000 attendees. This is where big brands come to share their sustainability-led initiatives. This is where the disruptors come to showcase their innovations. This is where the sustainability and brand innovation stories originate before they hit mainstream media. Join us and be the first to bring this year’s brand transformation stories to your audience. Press credentials are available to qualified applicants currently employed at dedicated print, broadcast and online media publications. Space is limited. Executive bios, SB logos, FAQ, images and more! 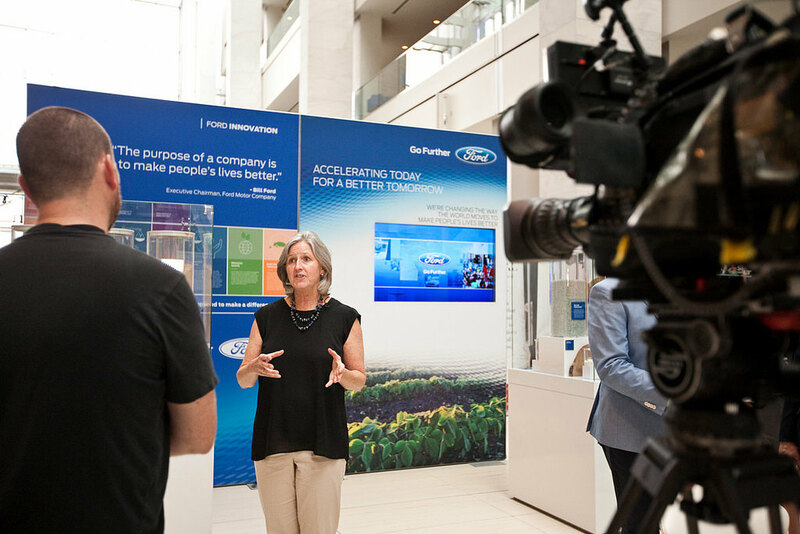 Global Brands Converge in Detroit for the Largest Event on Sustainability. January 24, 2019. Advances in science and technology will transform brands, life and the global economy. Sustainable Brands Launches Self-Assessment Tool for Brands Navigating Sustainability. June 5, 2018. The SB Brand Transformation RoadmapSM launches today at SB’18 Vancouver as a pioneering self-assessment tool that provides a comprehensive process plan for continuous improvement in sustainability. Sustainable Brands Gathers Global Brand Innovation Leaders at SB’18 Vancouver. June 4, 2018. Over 2,000 business executives along with their teams from 33+ countries are attending the conference and Activation Hub. Sustainable Brands Reveals Final Program Details for SB’18 Vancouver. May 31, 2018. BASF, P&G, Danone, Starbucks, and Salesforce.org among companies confirmed to showcase how brands are redesigning products and services for The Good Life.